The first time I stood in front of the Kotel (Western Wall) I didn’t know what to think. 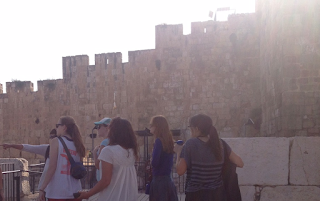 On the one hand, I was praying at one of the holiest sites for the Jewish people. It was incredible to know that this is where the Beit Hamikdash (Temple) once stood. This is where my ancestors would travel to on the high holy days and where the center of Judaism once was and still is, thousands of years later! I thought I felt connected to Jerusalem before but after spending even a little bit of time here, I truly feel like its home. I feel comfortable walking around the winding streets of the Old City discovering new nooks and crannies, meeting people and tasting all the delightful food that there are here. It never gets old, there is always something new to see or experience. On our most recent Mayanot tour of the area, with all 30 women in the Summer Mayanot Women’s Learning Program, I learnt more then I could have imagined about the historical and spiritual significance of this amazing place. So much of the history of our people is tied to this land and these cobblestone streets. I feel that the more I learn and educate myself, the closer I feel connected to my ancestry and what has happened to our people, as a nation! Walking through the Old City, I can now tell who is a tourist, who lives in the area and who is just a temporary inhabitant, like myself. You see the more religious, and the less religious all mingling together and working their way in and out of the shops that line the streets, or asking G-d for what they need at the Kotel. Everyone wandering around these areas our ancestors once wandered around. It really is illustrative of why Israel is the Jewish homeland. 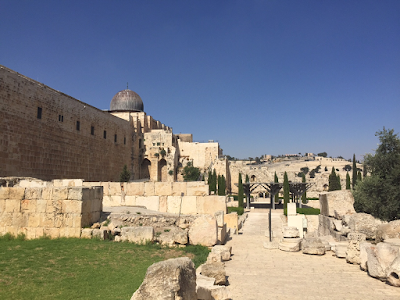 Regardless, of where Jews are coming from or what they believe, it is easy to feel a sense of belonging within the walls of the Old City and within Jerusalem, in general. How connected we are to this place, how could it be any other way! I think my favorite experience coming to the kotel is Friday night, during Kabbalat Shabbat (Friday evening prayers). It is an amazing scene and one I have been lucky enough to see on an almost regular basis. Everyone is gathered in their best Shabbat clothing from more religious men and women, to Taglit Birthright Israel groups singing “Am Yisroel Chai” as loudly as possible, the diversity is astounding and so beautiful. It is one of the most amazing sights to witness, as everyone scurries to find their friends and family, so they can head to their Shabbat meals, you are struck with the realization that you are a part of something so much bigger then yourself, something that feels so important with such historical and spiritual significance. The main point of Torah, as I understand it, is to love your fellow Jew as you love yourself, and walking around the Old City you realize how diverse the Jewish people are and how much variety we have between us. At the same time we are all connected, everyone is working towards the same goals and praying to the same G-d. It is easy to forget that this unity exists in the hustle and bustle of daily life in Jerusalem. But, the Old City is almost like a secret oasis frozen in time. It is part of the city and modern life but also not at all. That’s what makes it so incredible. Walking through the Old City connects you to another time; it’s a tangible part of the greater Jewish timeline. Next time you are walking in the Old City, stop and look around, take in the sounds and the sights and realize that you are a part of something much bigger than yourself. Liz Cornell is a fellow Mayanot student and intern coming from New York City. After graduating from Lehigh University in Pennsylvania as a computer engineer and clothing designer, Liz went on Birthright at the beginning of the summer and has been in Israel since then. At the end of the summer, Liz will return home to start working at the Free People Headquarters as a women's fashion designer. Growing up, she was raised Reform, going to Hebrew School since 3rd grade and having a Bat Mitzvah at the age of 12. After that it was her choice whether or not to continue her Jewish studies. As she did continue to learn, she realized that there was so much more she wanted to know about Judaism that she hadn't yet learnt. When she got to college, she lost touch a bit with her Judaism. 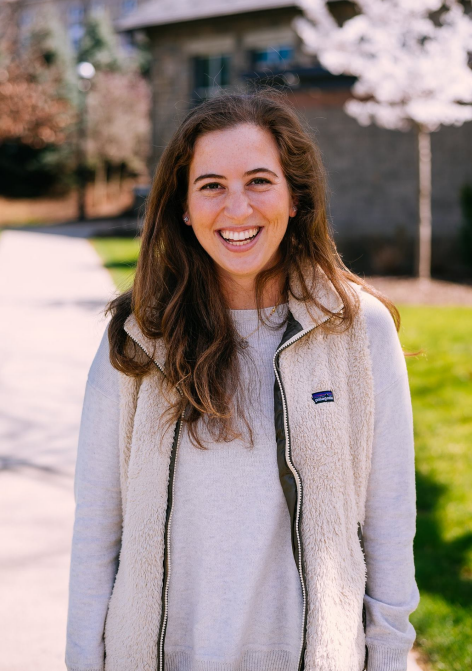 However, in her last year and a half of college she got involved with Chabad on her campus and once again remembered what it was she loved about being involved in a Jewish community, and decided she wanted to come to Israel and learn more about Judaism, and develop an even greater connection to the land and the Jewish people. 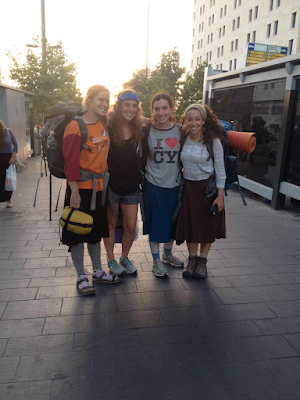 Through her Rebbetzin Dit Greenberg, Liz learned about Taglit Birthright Israel:Mayanot, and decided it would be a great way to come to Israel. However, she knew she wanted to stay longer then just 10 days, but didn’t know anyone else staying. 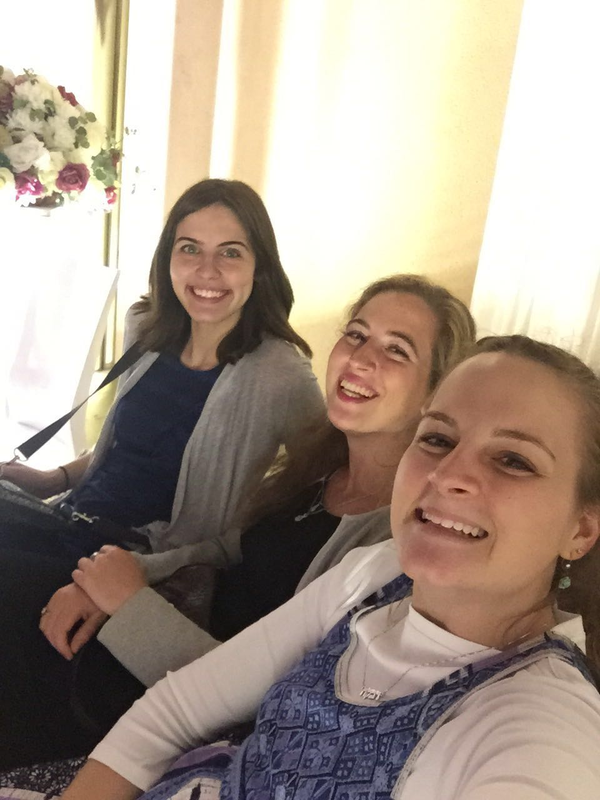 She was told about the Mayanot Internship opportunity and decided it would be a great way for her to experience both working and learning here in Israel. It sounded like the best of both worlds, a way for her to get great experience for her resume and very hands on, in terms of Jewish learning. Now Liz is here living in Israel for the first time. 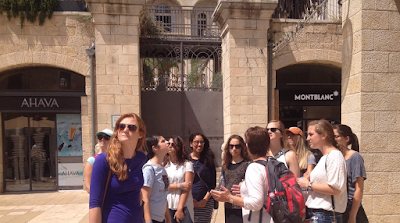 She finds it “really cool” that she can call Jerusalem home and that it is so easy to get to the Kotel and the Shuk. Living in Israel, it amazes Liz how easy it is to be Jewish. Back in the states, she had experienced anti-Semitism and usually doesn’t go out of her way to stress that she is Jewish. Being here, everyone around is welcoming of the fact that she is Jewish. Liz is also constantly struck, by how beautiful the country is. The thing that is amazing about doing a longer program, is that it lets her see more and get to know people more. She loves living in Israel, rather than living on a coach bus! Before coming, Liz only knew that it would be a month of learning and a month of internship. She didn’t really know what to expect from either, but decided to keep an open mind and see where this program would take her. She knew she wanted to learn about the Israeli/Jewish culture and how the two are intertwined. About a month in, the learning is by far Liz’s favorite part of the program. She wishes she could stay and learn longer. She has loved every minute of the classes and is pleasantly surprised that she will “quote a lot of the stuff [she’s] learning throughout the day” and ties it into her daily life. As for a favorite class? Liz loves the nigun (melody) class, every other Wednesday. For her, growing up, “a lot of prayer and connection to religion was through music” so niggun class is a way to get back to that type of meditation and prayer. Of all of the nigunim we sing here, her favorite is “Nigun Ha’Baal Shem Tov” a song that is normally sung after Havdalah. But she also loves Halacha (Jewish Law) with Rabbi Elchanan Cohen, a Yeshiva 1 class that provides a fascinating textual insight into different aspects of Jewish daily life. As for the daily life here in Israel, Liz goes to all of the classes. She will wake up for Chassidut (Jewish mysticism) in the morning and then either go to the rest of the classes at Mayanot or she will go to her internship. She will come back for afternoon class and then use her break to sight-see and cross things off her Israel to-do list. In the evenings she returns for night classes, which are optional but Liz loves them just as much, and then Liz is free for the rest of the night. Sometimes at night there are formal events like Fabrengens, (an informal gathering with inspiration and learning), or there is capture the flag, or other times it is just hanging out together as a group and reflecting. Liz loves the fact that people on the program tend to all be open minded and that it gives her a deeper understanding of the country. She now feels like her perspective on Judaism has changed a lot. Learning more has made her want to incorporate more into her life. She knows she can’t immediately change and that growth takes time but she now knows what's important to her. Through her time here, she is seeing the value of Shabbat and making certain blessings, being more appreciative of what she has, rather than take anything for granted and realizing gratitude is a big part of happiness and recognizing the spirituality in the everyday can really help a person grow. Liz also knows that this is just the beginning of her journey of self exploration. One important lesson she’s learned, is to have Jewish pride and to return home with confidence and happiness in being Jewish! Written and interviewed by: Jennie Maibor, Current Mayanot Women's Program Student. For the past month or so I’ve been studying at the Mayanot Women's Learning Program. 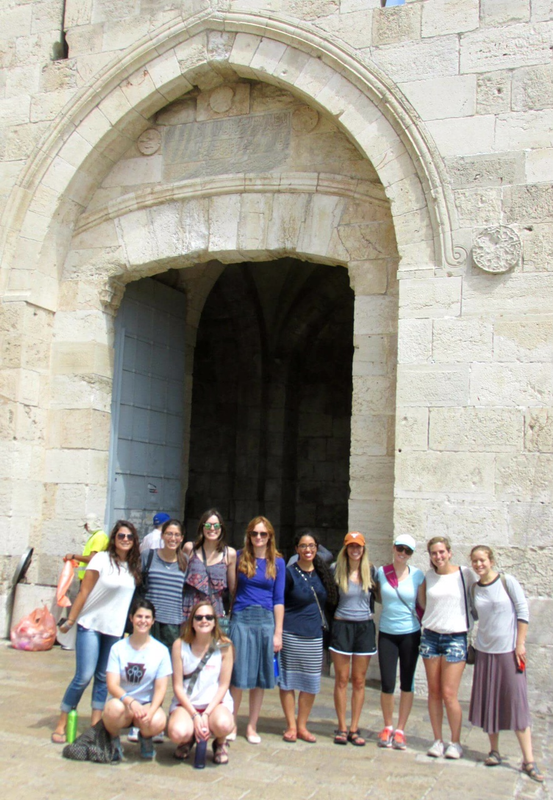 Prior to coming, I had never been to Israel so my introduction to the country was a Taglit Birthright Israel trip that I had extended into a three-month long adventure. Right before I came to Israel and Mayanot, I graduated from American University with a degree in International Relations. In college, I became very involved in my Chabad on campus and eventually decided I wanted to learn more in Israel. For the next month, I will be taking over the Mayanot blog, writing about my experiences as well as the experiences of my fellow students. I hope you enjoy! Growing up I went to Hebrew School twice a week to learn the stories of the Tanach [Hebrew Bible]. As a kid, it was so exciting to learn about heroes, villains and princesses. At the time, they seemed like fantasy stories set in made up places. Queen Esther seemed just as real as a Disney Princess and Moshe Rabenu may as well have been a superhero in a movie. I had never been to Israel and could never really grasp the land or the history in a realistic way, and definitely couldn’t grasp the spirituality of the land. Re-learning these stories in Jerusalem presents an entirely new perspective. Instead of seeing these characters and words just as characters and words, I am able to see them come to life. In Israel, the Torah isn’t just words on a page, it is daily life. It doesn’t even take much effort to see the Torah in action here. Every day walking around Jerusalem, I see living breathing versions of the Torah. Whether it be in a person stopping on his commute to give tzedakah [charity] or someone davening [praying] in front of the Kotel [the Western Wall] where the Beit Hamikdash [The Temple] once stood, people here make the Torah their daily life. It is easy to brush off these occurrences as people going about through their routines and not notice them. But, if you look just a bit closer, you see people dedicated to working each and every day to bring Torah to life. 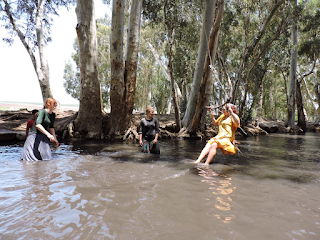 Even the most basic summertime activities in Israel like hiking and swimming, still are immersed in Tanach. A few weeks ago the Mayanot Women’s Learning Program went on a day trip to the Jezreel Valley in northern Israel ,with a tour guide who specializes in Tanach-inspired trips around Israel. But, unlike my field trips growing up, it wasn’t just to see what is there but also to see what was once there. A random hill was once the sight of the palace of King Jehu and Queen Jezebel and a highway through a desert was the path Yehoshua took to conquer Israel. It is unbelievable to know that every inch of this country is steeped not only in history but also in the Tanach. The day started with a hike in the 100-degree-farenheight heat that ended at a nice shady spring. Sure it was pretty but I imagined that the most exciting thing about the spring was that it was cold water and under some beautiful eucalyptus trees. Honestly, with the heat, that would have been exciting enough. 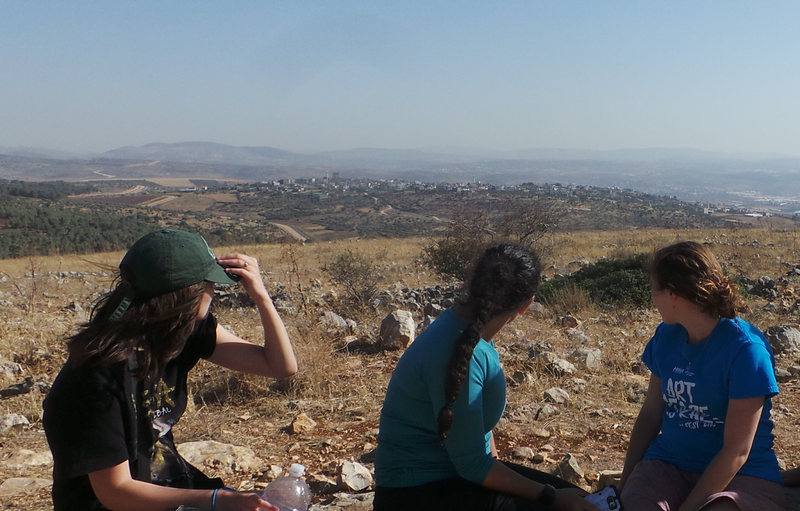 Then we learned that it was where King Saul took his troops to drink water to test them. I was cooling off in the same place as one of the most famous kings in Jewish History. 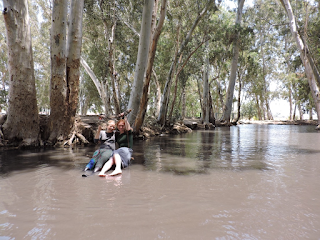 This little spring, like most of Israel held incredible secrets. It can be easy to question if this is really what they say it was. How do they know that this is the same spring described in a passage written over 2000 years ago? Isn’t it easy to pick a random spring and say this is where an important event took place? What makes this spring different from any of the other springs in the area? 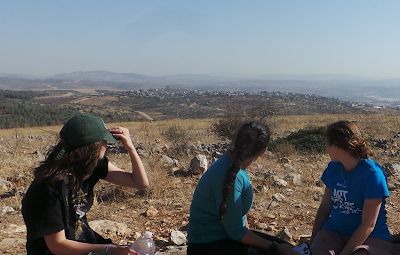 But, then we read the passage from Tanach describing the exact place I was standing. Suddenly, the stories I learned as a child became a bit more real, I could see them with my own eyes. The trip culminated at a lookout spot on a mountain. Unless you know what you’re looking at it seems just like any other mountain. Except this wasn’t Mount Washington or the Alps and it wasn’t just a place to snap some pics and leave. This was the Gilboa Mountain. 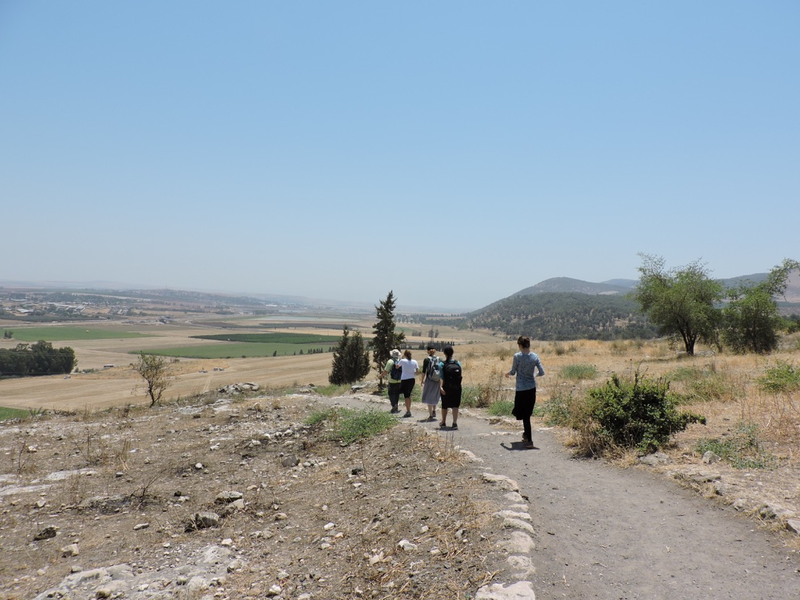 In case you don’t know the story, this is where King Saul led a charge against the Philistines and lost. When he saw that there was no hope he fell on his sword. And when his son in law, King David, heard about the tragedy, he cursed the mountain saying: “Ye mountains of Gilboa, let there be no dew nor rain upon you, neither fields of choice fruits; for there the shield of the mighty was vilely cast away, the shield of Saul, not anointed with oil". As of two weeks ago, there were still no trees on the mountain, and none of the plants there were fruitful. The valley below was filled with trees and fields that grew all types of fruit but the mountain was barren. Suddenly, I was seeing the words of the Tanach in front of me. 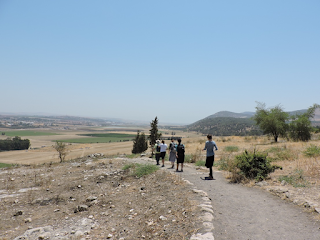 The descriptions of almost everything we saw was in the Tanach, whenever we would look at a new landscape, our tour guide would read the excerpt where it is mentioned in the Tanach and see that there was so much more than what we thought we were looking at. Seeing the Tanach come to life in such a real way takes your breathe away. You hear about different archaeologists finding scrolls and artifacts that prove the stories of the Tanach, but nothing can prepare you for seeing them with your own eyes. I can’t even express what it feels like to walk where my ancestors once walked, thousands of years ago. It is unbelievable; yet the proof is there. Almost everything the Tanach says can be seen today and that is simply awe-inspiring. You can study Tanach all your life but never really see it come to life. Israel isn’t just another place. It truly is a holy land. It is a place where daily life and Torah are one in the same and that is indescribable. Both the people and the places bring the Torah to life each and every day in the same places it was first followed and that isn’t something you can get anywhere else in the world. It is inspiring to know that I can see what I’ve learned all my life and to know that I am a part of something much larger than myself.